That’s right, Ubuntu 12.10 is upgradable to latest Ubuntu 13.04 “Raring Ringtail” release. 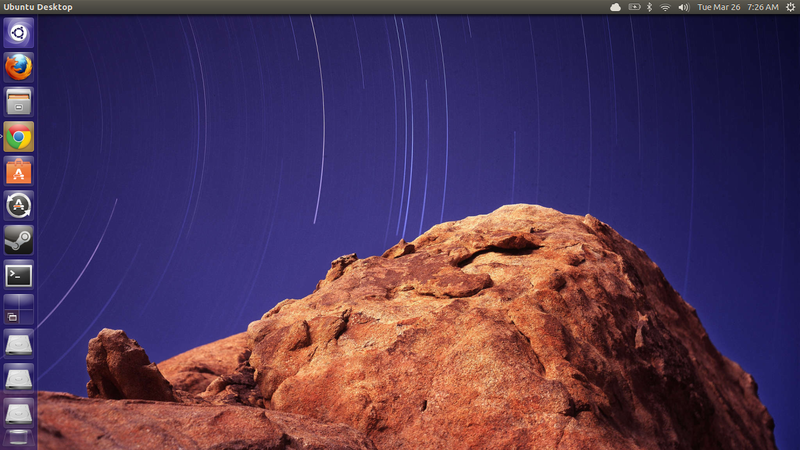 And Ubuntu 13.04 is pretty stable OS, though I still won’t/can’t recommend it for production machines. It is even a little more snappier already than all the previous releases. More on that later. 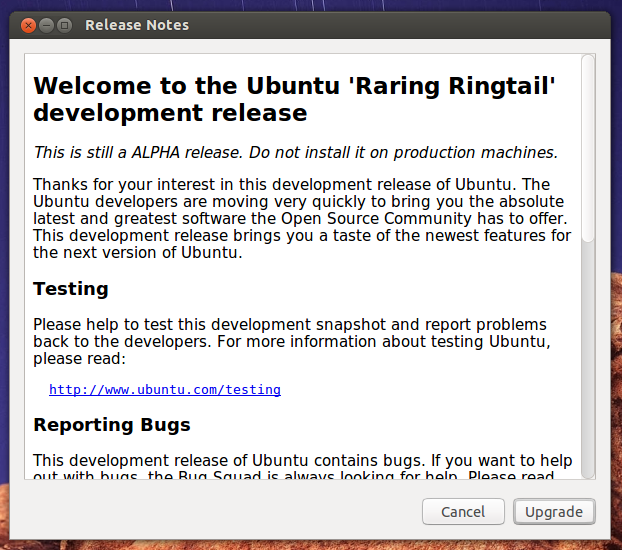 Right now, here is what you need to do to upgrade Ubuntu 12.10 to Ubuntu 13.04 “Raring Ringtail”. Firstly, make sure that your Ubuntu 12.10 system is up-to-date. Check for updates in the Update Manager if any and install them all. Hit ALT + F2 and run the following command. The system will check for updates and will show you the following prompt. Software Updater will take you through the steps further. When the upgrade is complete, Ubuntu will automatically restart. And that’s about it.